Before he ascended to the highest office in the land as the United Statesâ youngest president, Theodore Roosevelt, with illustrations by Frederic Remington, though a New York City man born and bred, was a devotee of the Old West. In 1888, he published this charming ode to the American frontier, from the rewarding hard work of a rancher on the open plains to the pleasures of hunting the big game of mountains high. 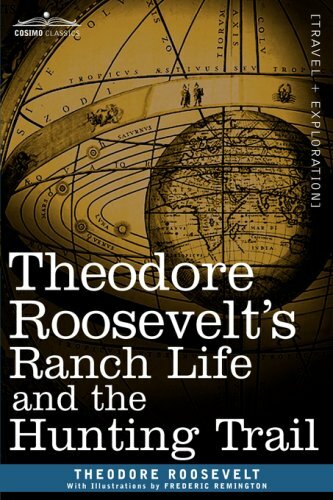 Today, the inimitable prose and infectious enthusiasm of Rooseveltâs writing here serves as much to limn a unique aspect of the character of the nation as it sings an elegy for a disappearing way of life. Includes numerous illustrations by Frederic Remington. Also available from Cosimo Classics: Rooseveltâs Letters to His Children, A Book-Loverâs Holidays in the Open, America and the World War, Through the Brazilian Wilderness and Papers on Natural History, The Strenuous Life: Essays and Addresses, and Historic Towns: New York Politician and soldier, naturalist and historian, American icon THEODORE ROOSEVELT, (1858â1919) was 26th President of the United States, serving from 1901 to 1909, and the first American to win a Nobel Prize, in 1906, when he was awarded the Peace Prize for mediating the Russo-Japanese War. He is the author of 35 books.